Sustainable.com.au is a website dedicated to sustainable living and sustainable Earth technologies - on this website you'll see how living sustainably is easy and affordable. In some cases it will even save you money. On this website you'll find a range of useful tips and resources compiled by architects, professional engineers, builders, horticulturists, planning consultants and environmental scientists. We offer, and provide advice on sustainable buildings and permaculture systems for domestic and commercial use. Sustainable architecture projects, like any other building project involves feasibility studies, conceptual design, detail design, liaison with councils and other authorities, construction drawings, specifications, colour schemes and materials selections, organisation of tendering, and contract administration on all manner of residential, commercial and industrial projects. On this site you will find useful information to help you start planning your first sustainable building - there are are number of ways you improve your buildings energy rating under the Nationwide House Energy Rating Scheme (NatHERS). There are a range of sustainable building materials that are both Earth friendly and elegant at the same time. Mud brick and poured Earth construction techniques are just a few of the options available for earth friendly construction. Building with alternative materials can be a challenging but ultimately rewarding adventure. Thinking about renewable Energy solutions for the your home or business? More than likely there's a a renewable energy system to suit your requirements. Depending on your project you might also be entitled to rebates or tax credits from Government initiatives. 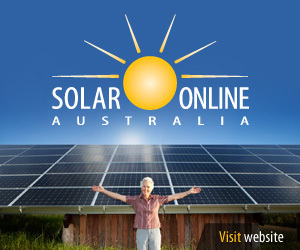 If you are thinking about stand alone or grid interactive solar power systems or solar/wind hybrid systems, Sustainable.com.au has wealth of free on renewable energy resources for the home and business. Permaculture is an approach to designing agricultural systems that is modeled on the relationships found in nature. It is based on the ecology of how things interrelate. There are a number of things to keep in mind when designing for suburban and rural properties, especially if you are into self-sufficiency or growing organic food. True permaculture design integrates the needs of people for food, water, energy efficiency and shelter. Rainwater harvesting (or the storing of rainwater for reuse) before it reaches the aquifer can be used to provide drinking water, water for livestock or irrigation. Sustainable.com.au can provides useful information on how to best manage your water including sizing of your rainwater storage tanks and advice on Irrigation and Water Handling. Sustainable water management also includes the design and construction of greywater and blackwater treatment systems which are (contrary to popular opinion) completely natural and do not rely on chemicals of any nature. On this site you'll find advice on Handling of generated waste waters and tips on how to arrange necessary Council approvals. Sensible town planning is something we're passionate about - in this section of the website we offer our thoughts for sustainable planning, including the integration of biodiversity conservation within strategic land use planning by local governments. Information on fauna research, specialist fauna surveys and fauna management. Projects include fauna monitoring programs, flora and fauna assessments, species impact statements, fauna management plans and strategic land use planning compatible with habitat conservation. This part of our site is relatively new, and if you would like to contribute information to this page - please get in touch.